Levels of small particulate air pollution across China were down 12 percent in 2016 compared to 2013 levels. 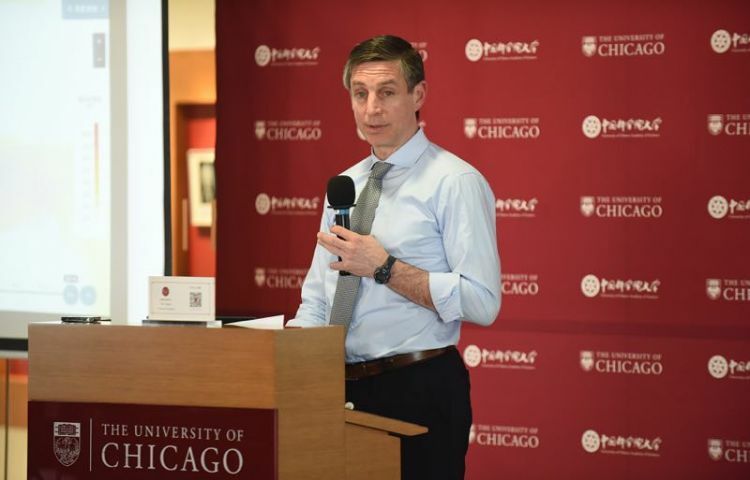 "It took about a dozen years and a recession for the United States to achieve the same percentage reduction in particulate pollution that China has achieved in such a short time," said Michael Greenstone, Milton Friedman Distinguished Service Professor in Economics and Director of the Energy Policy Institute at the University of Chicago(EPIC). Greenstone has helped produce the Air Quality Life Index (AQLI), a new pollution index which measures air pollution and its effect on life expectancy. "The AQLI tells citizens and policymakers how particulate pollution is affecting them and reveals the benefits of policies to reduce particulate pollution." Particulate matter (PM) pollution is believed to be the most harmful form of air pollution. When the air is thick with PM pollution, tiny particles enter the respiratory system, increasing the risk of cancer, heart attack and stroke. The most dangerous are the tiny PM2.5 particles, which have a diameter of less than 3 percent of a human hair. According to the World Health Organisation (WHO), 75 percent of the global population, or 5.5 billion people, live in areas wherePM2.5 pollution exceeds safe levels. Loss of life is highest in Asia. Mostharmful air pollution comes from the combustion of fossil fuels such as coal — also a major cause of climate change — which China has continually pledged to reduce. The country has so far lowered coal’s share of its total energy consumption to 59 percent, down from 68.5 percent in 2012. Air quality improvement has been most dramatic in Xingtai and Shijiazhuang, which from 2013 to 2017 reduced particulate pollution concentration ­by 40 percent and 39 percent, respectively. According to Greenstone, China has already achieved an additional six months of life expectancy for the average citizen. "The challenge now is that the lowest hanging fruit has already been harvested. As China balances needs for economic growth and environmental quality it will be increasingly important to find ways to formally compare the costs and benefits of alternative policy options." Greenstone said that if pollution in China can be reduced to the WHO guideline, then "the Chinese people would gain on average 3.9 years of life expectancy."